Chalfont showcases our understanding of specialist healthcare needs. Located within the Chalfont Centre for Epilepsy in Buckinghamshire, this 64-bedroom care home will provide residents with extra care living and specialist care. 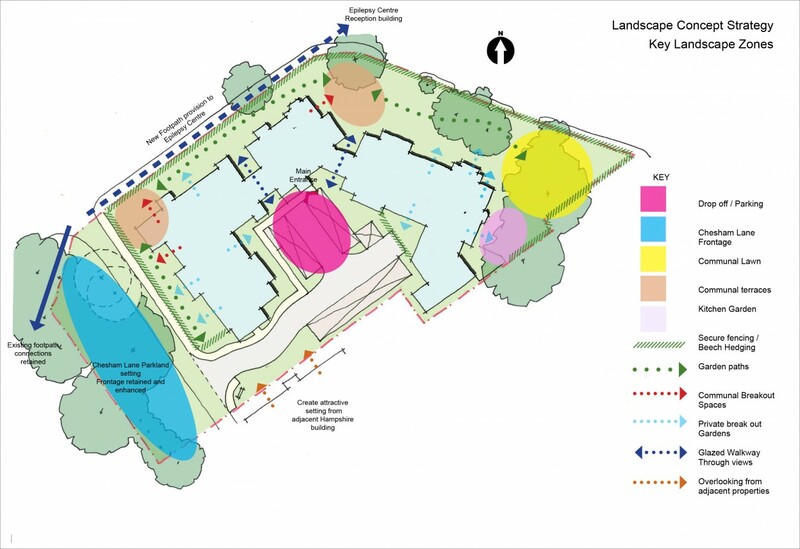 Bearing in mind the site’s Green Belt designation and the Arts & Crafts vernacular of the main house, our sensitive proposals introduced subtle landscaping to achieve harmony with the parkland setting. Our landscape concept protects key TPO (Tree Preservation Order) specimens while drawing in natural light, enhancing residents’ enjoyment of internal and external spaces. 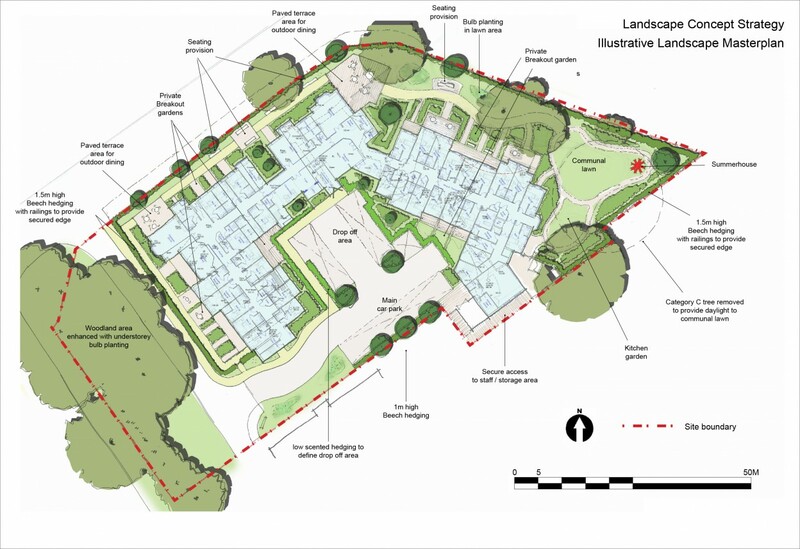 A series of pathways negotiate a winding landscape, with a contemporary planting mix (blending colour, scent, movement, texture and taste) forming a rewarding environment for residents, staff and visitors. 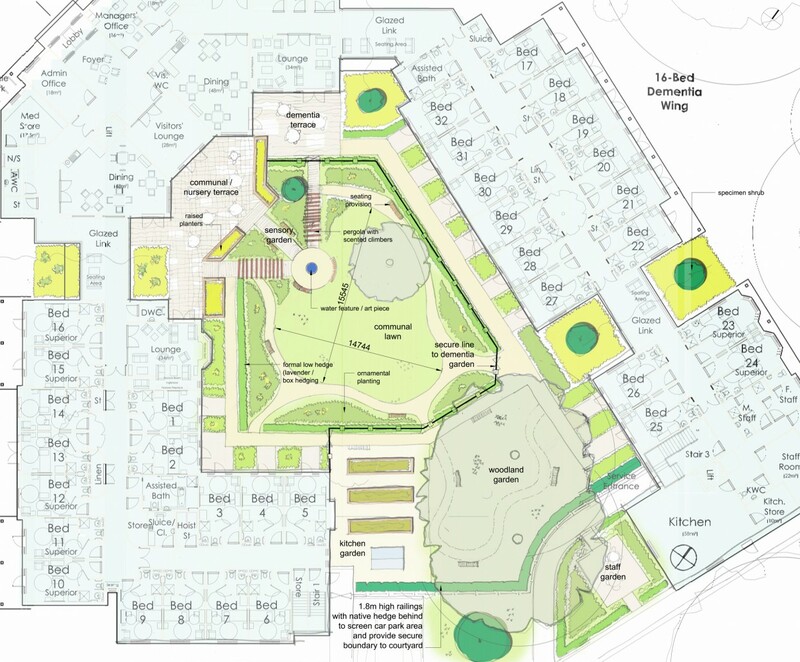 The communal courtyard will be split into connected multi-purpose spaces that address individual care needs while creating a general air of wellbeing. We also collaborated with the architects on a series of glazed, covered areas where less mobile residents can enjoy the view, whatever the weather. © 2018 Influence Environmental Ltd. All rights reserved.